Current and former employees of the United States’ primary military intelligence agency have publicly accused the agency’s senior watchdog of not doing her job and sabotaging the careers of her subordinates. According to Foreign Policy, which interviewed the disgruntled employees, “no one is policing” the US Defense Intelligence Agency (DIA) at the moment. The DIA is one of the largest institutions in the US Intelligence Community. 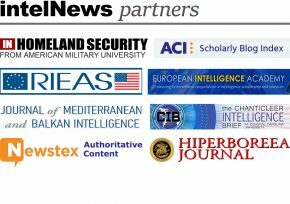 It collects, analyzes and disseminates foreign military-related intelligence, and has active personnel stationed in over 140 countries. As is the case with every agency in the US Intelligence Community, the DIA’s activities are monitored by an internal office of the Inspector General. The office is tasked with investigating allegations of illegality, mismanagement, fraud, waste and abuse inside the DIA. However, two former employees allege that the DIA Inspector General’s office has effectively been disbanded, with most of its personnel having been fired, reassigned or pressured to leave in recent years. They also claim that the current dysfunctional state of the office is due to the “toxic” leadership style of the Inspector General herself, Kristi Waschull. Foreign Policy named the two former employees as David Steele, who has nearly 40 years’ experience in military intelligence, and Ron Foster, who until recently was head of investigations at the DIA’s office of the Inspector General. The two men claim that they were “fired or involuntarily reassigned” overnight “with no warning”, because they challenged Waschull’s leadership style and decisions. They told Foreign Policy that they could not discuss the details of specific cases, because they are classified. But they claimed that Waschull repeatedly sought to soften the language of inspection reports about problems in the DIA, and that she “retaliated against them and their colleagues” when they resisted her efforts. In 2016, a Congressional investigation was carried out into allegations by as many as 50 DIA analysts that their reports about the Islamic State were being deliberately tweaked by officials at the US Central Command, the Pentagon body that directs and coordinates American military operations in Egypt, the Middle East and Central Asia. The Foreign Policy article did not mention whether the analysts’ allegations are included in the complaints launched against Waschull by Steele and Foster. The publication said that the two men filed complaints against the Inspector General in 2015, and that they are still awaiting resolution. The DIA refused to comment on the allegations, but denied that any wrongdoing had taken place in the office of the Inspector General.